Attention. Galactic invaders arrived to the Earth. It is necessary to prevent the attack and destruction of the Earth. 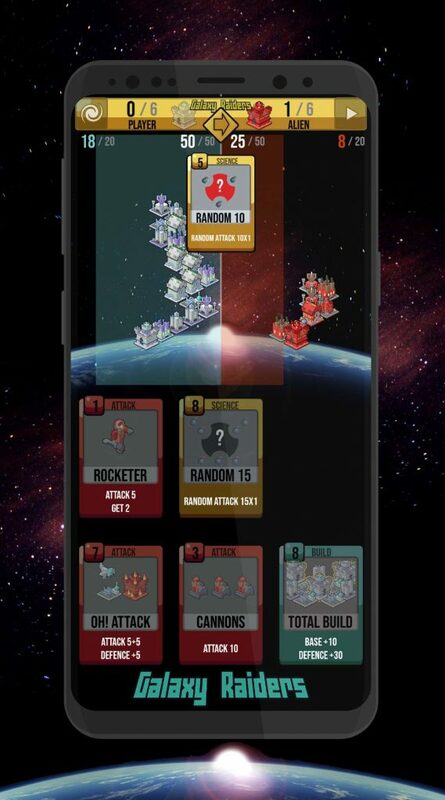 Under your leadership, a space battle will start with attackers from the depths of the universe. 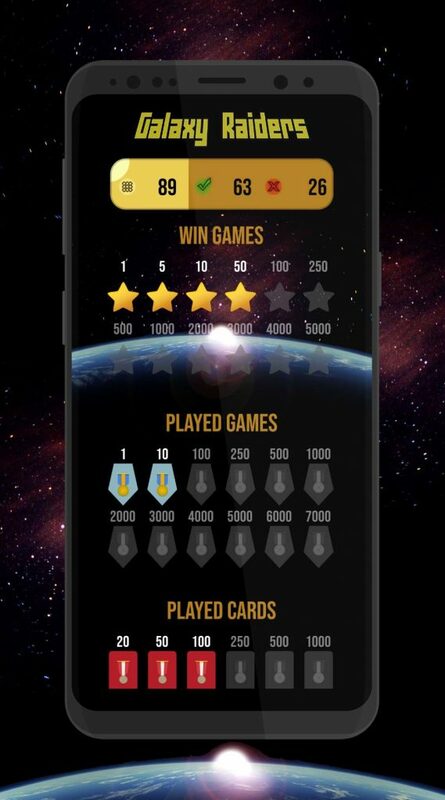 Galaxy Raiders is a simple offline card game, without building deck, without time limit, just play. 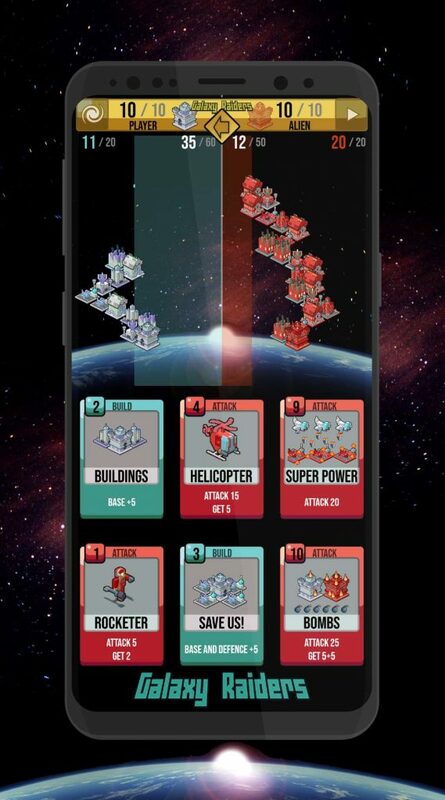 The goal is simple – destroy the opponent’s red base, which is protected by the space shields. TIP! Double click for fast card playing! Players alternate in playing cards. Each card has a value in the upper left corner for which it can be played. 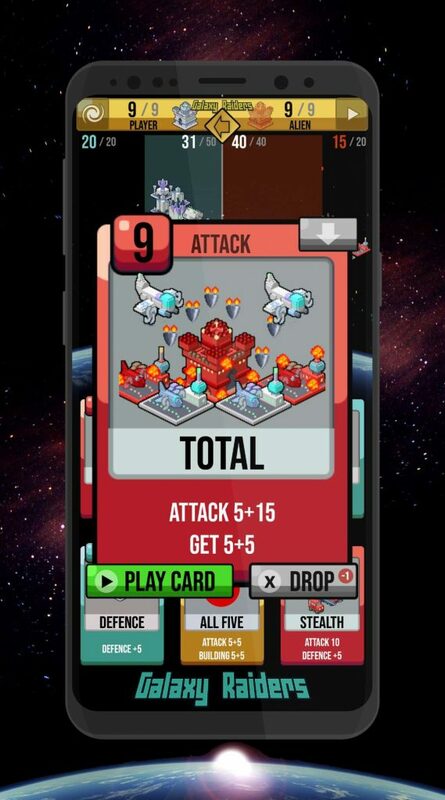 The energy of each round increases and it is possible to play higher cards or more cards with a lower value. When the player exhausted the energy, another player plays. 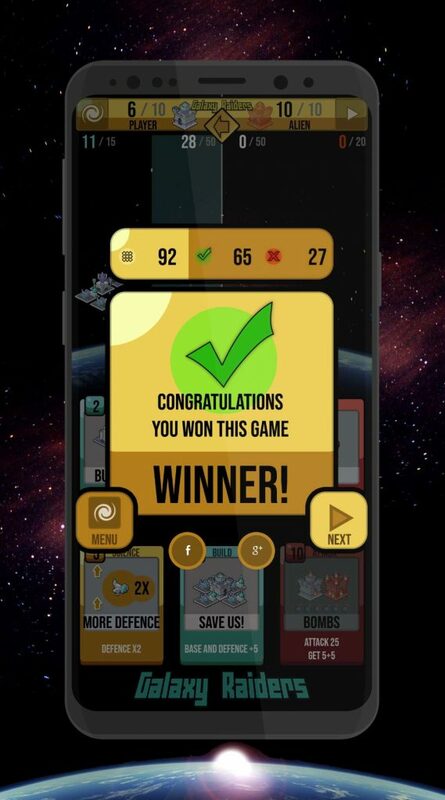 You can also skip round (right top corner) or drop the card. This continues until the winner of one of the players.